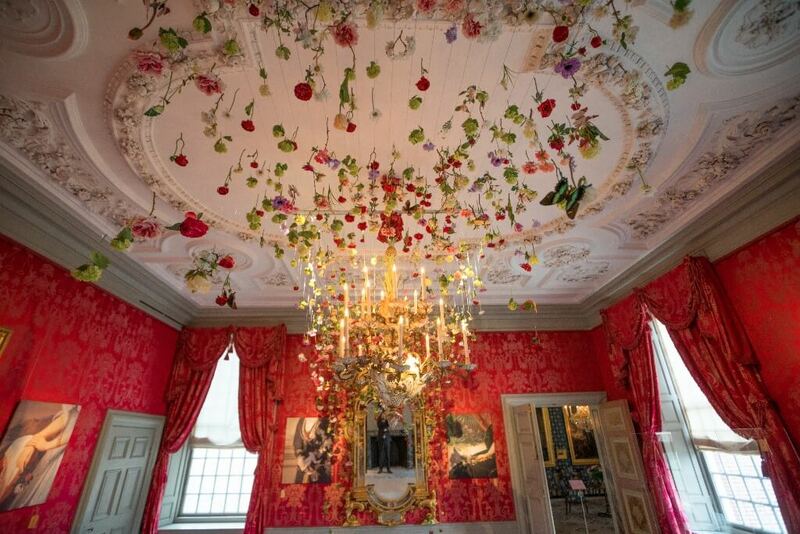 From March 22nd to June 29 2014 Paleis Het Loo presents work of Dutch designers in five historical rooms, under the title ‘ Royal Show Pieces; a royal meeting with Dutch Design.’ In collaboration with Nicole Uniquole & Maarten Spruyt, The Wunderkammer has created a special flower installation for one of the rooms. The exhibition For the first time in history, Paleis Het Loo’s interior will deviate from the permanent establishment in these halls. With a new set up, museum pieces from the depots and by adding couture, dinnerware and art , the famous curator Nicole Uniquole brings a high-profile dialogue between the regal taste of the past and contemporary Dutch design. The presentation ‘ Royal Show Pieces’ shows work from amongst others JAN TAMINIAU, Tord Boontje, Mieke Meijer, Scholten & Baijings and Scheltens & Abbenes. 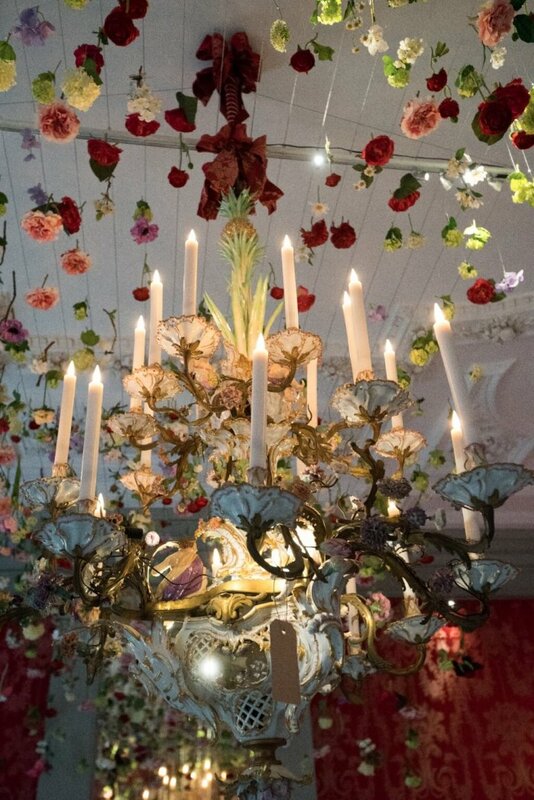 Additionally foreign designers such as Ingo Maurer and Ying Gao, adorn the palace rooms with surprising setups.Details from the rich palace interiors of Het Loo, who would otherwise go into the context of the historical setting, will be highlighted by the presentation of Uniquole. She selected pieces from the museum depots that are rarely accessible by the public, and combines it with contemporary design. 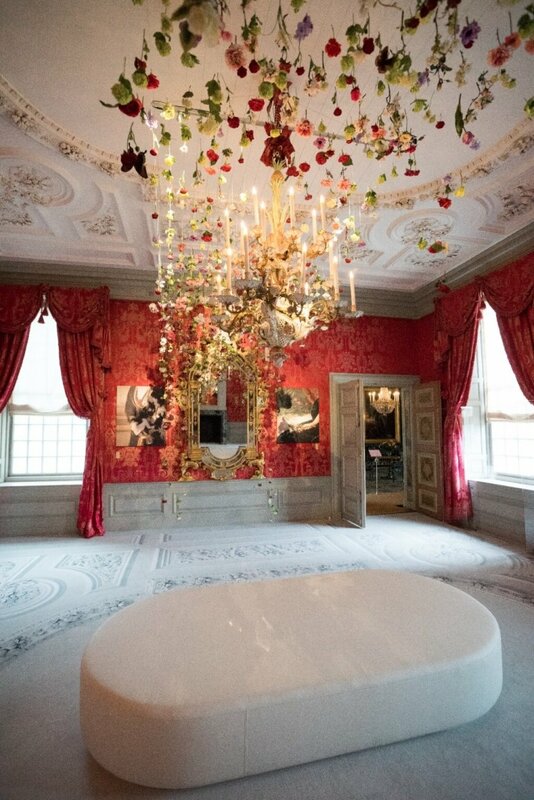 Sensory experience Painted and stuccoed ceilings reflect on the floors, colours, scents and music speak to the senses and dramatic lighting effects entice the visitor to look differently. 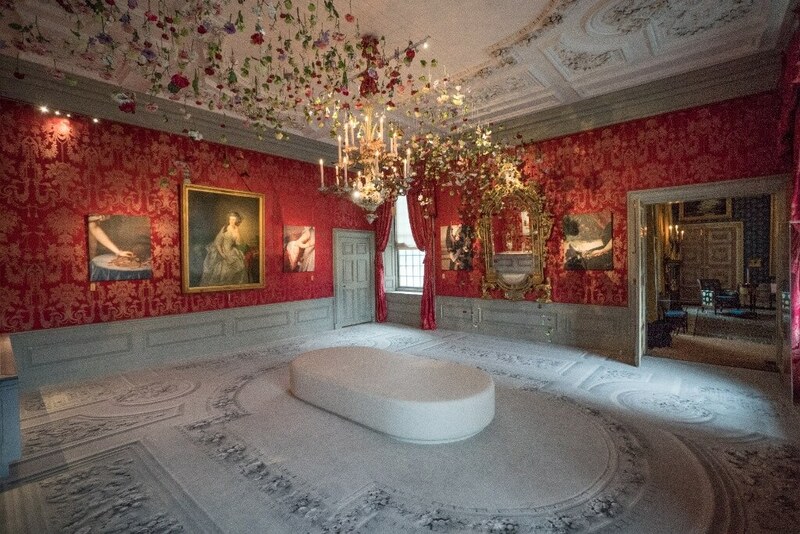 For the first time at Paleis Het Loo, the visitor can walk freely through the palace rooms and experience the space up close. 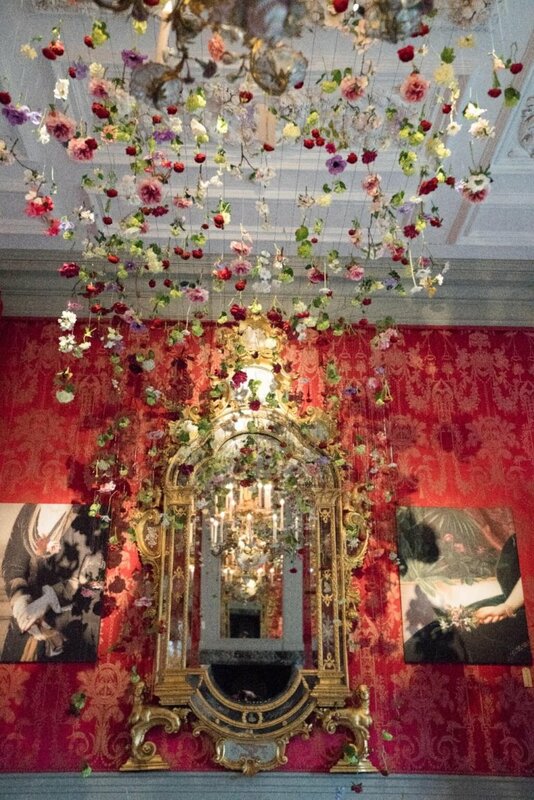 Artists Florian Seyd and Ueli Signer have been asked by Nicole Uniquole to create a grand floral installation for ‘Salon Willem V’ in cooperation with the florists of Paleis Het Loo; John Hagen & Francien Huis in ’t Veld. 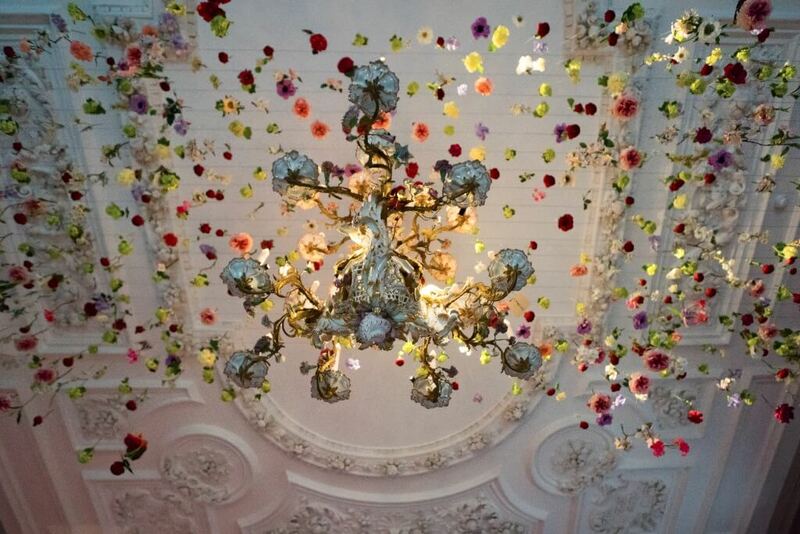 The installation that is now called ‘Flowers of the Palace’ resembles a “sea of flowers” is situated around a historic chandelier of the Meissen porcelain factory, a masterpiece of craftsmanship. 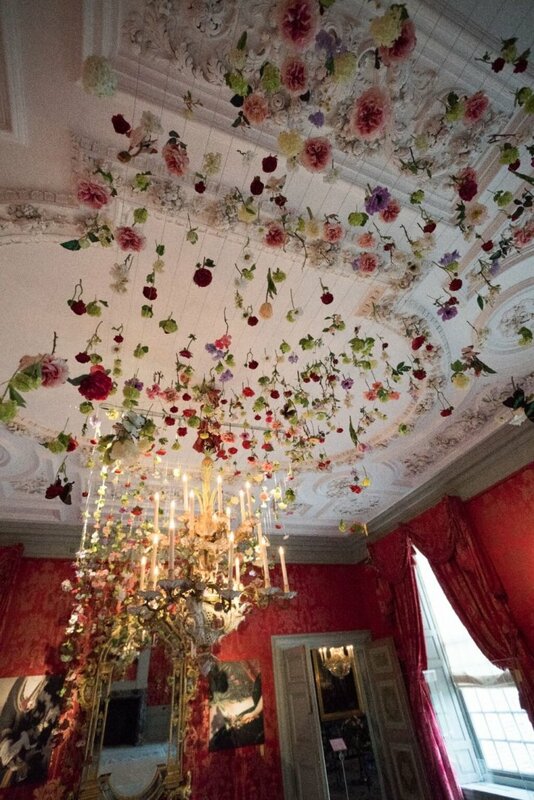 One will be able to stretch out under this sea of flowers, which complements the historical portraits. 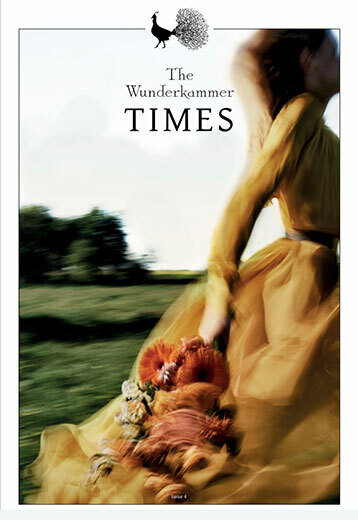 Nicole Uniquole is assisted by the renowned interior and exhibition designers Maarten Spruyt and Tsur Reshef. 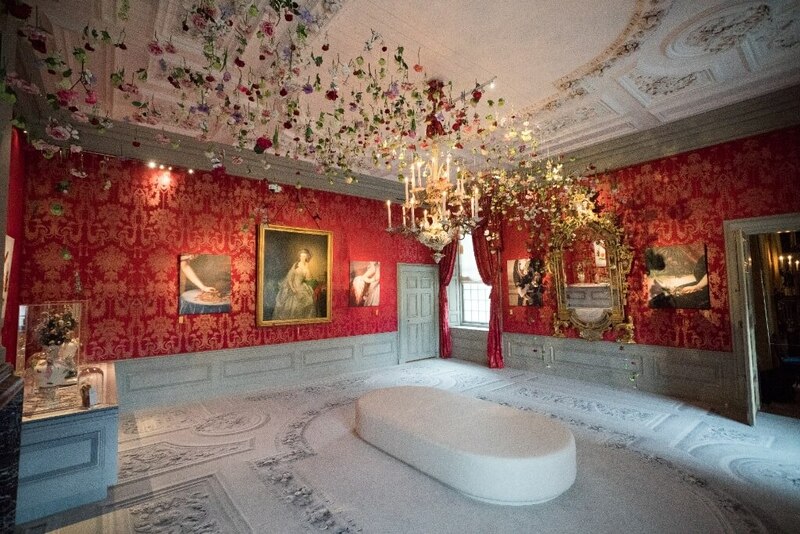 In 2012 Uniquole developed with Spruyt and Reshef the successful exhibition ‘Dutch Design, House of Orange’ in former Orange’ palace Schloss Oranienbaum (Germany).